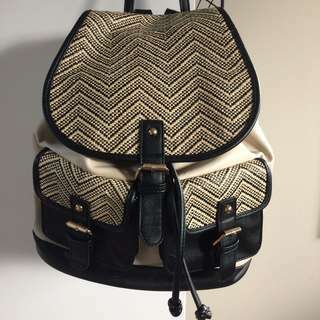 Backpack from collete. 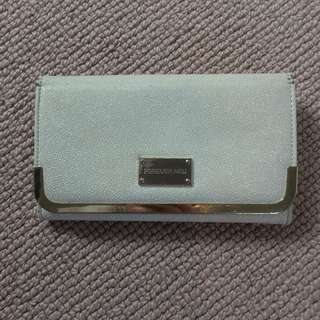 Colour: beige and black Fabric: leather Two front pockets with magnetic clips as well as the main pocket with a tie strap. Don’t need to undo the buckles. Fabric has peeled off a little on the right side but no holes or rips, very good condition. Evening dress from Moochi. Colour: Charcoal grey. 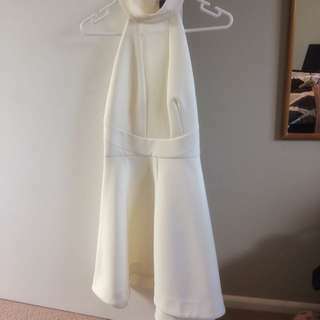 Size 8, material is quite stretchy. 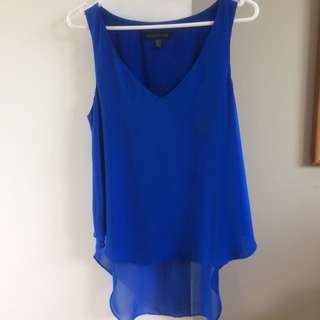 V neckline at the front and back, no zip. 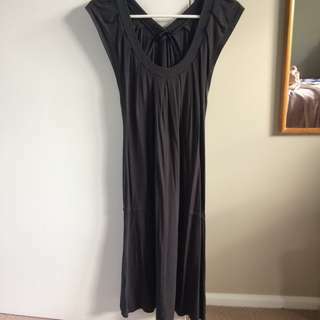 Basic black dress from Kookai. 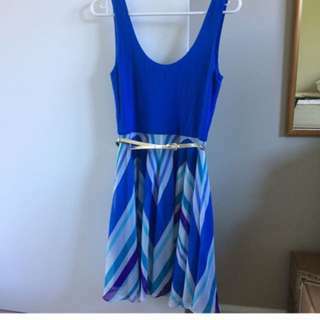 Size 02, never worn. 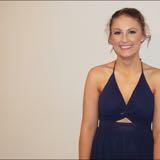 length just above the knees with choker styled neckline. 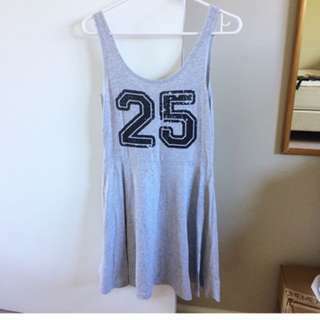 Basic Grey dress from factorie. Perfect for the summer time. 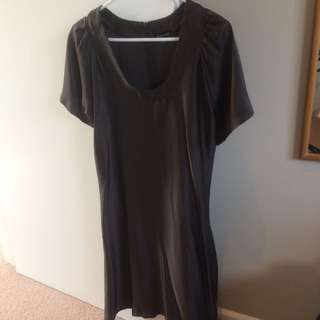 Size M, fabric unknown. Elegant evening dress from pagani. Size 10. Mesh is 95% polyester 5% elastane. Lining is 100% polyester. 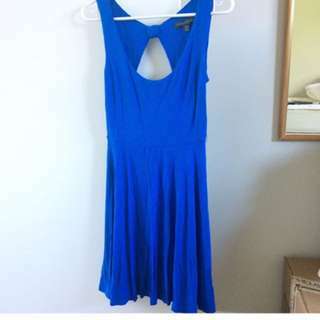 Simple blue dress from forever new. 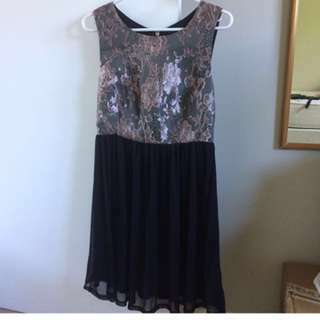 Has a cut out on the back (not ideal to wear with a bra, size 8. 95% viscose 5% elastane. 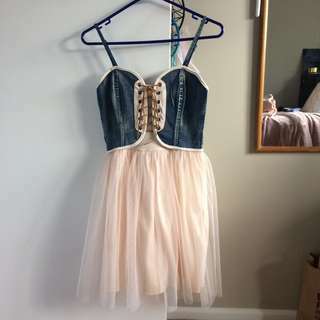 Party Dress from Valley girl. 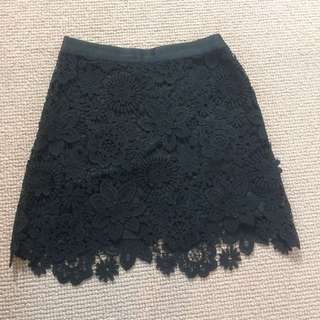 Worn a few times, perfect for clubbing/ parties. Colour Black and white, size 8. 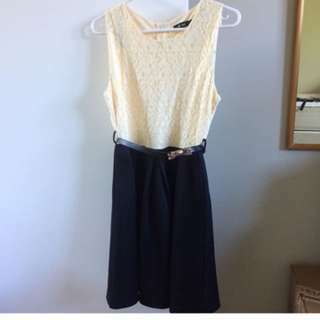 Top part is light chiffon type of fabric (would suggest a strapless bra), skirt part is black and fitted. 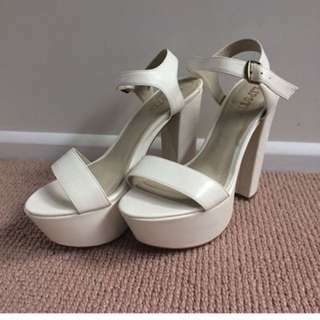 White platform heels. Size 10, worn twice. A couple of little miner scratches on right shoe. Purple crop top from kookai. 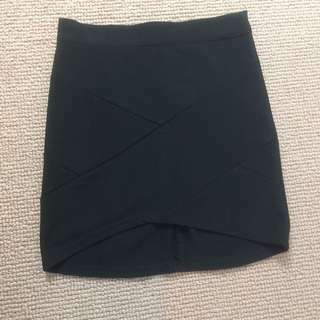 Size 01 worn once.